Turkic Mongolians originally from around the Altai Mountains and northern Tarim Basin of Western Mongolia, Eastern Kazakhstan, and Northern Uyghur created the Persians and colonized ancient Iran and Iraq. Soon they knew about the Ge’ez speaking Israelite and the Law of Moses which originated in the land of Punt. The Israelites and Turkic Mongolians had had worked together since the Hyksos period (1630-1523 BC), that was before the Law of Moses of 1446 BC. The Turkic Mongolians attacked Kemt from the north in the Delta; and from the south the Ge’ez speaking Israelite refugees and nomadic encroachers disturbed Kerma since they entered the region in 1876 BC. Sabaeans in Yemen, D’mt, and Kush in Africa, since 1000 BC to 750 BC, were successful joint ventures between Turkic Mongolians and the Ge’ez speaking Israelites from Punt. Until that time there was no Jews or Judaism. Following their strong cooperation experience many African Israelite leaders were invited to the newly established Turkic Mongolian colony of Neo-Babylonia to work out the grand project of inventing Jews, Judaism, and an Aramaic colony called Israel. The Turkic Mongolians colonizers decided to invent a cult and hijack the Law of Moses. 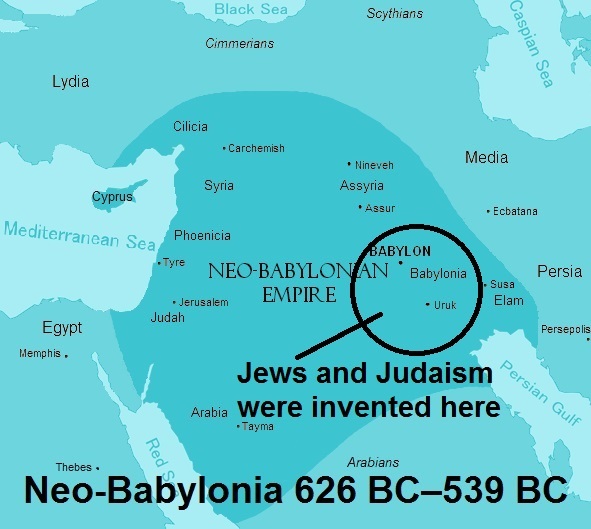 They contacted elders from the Israelite and invited them to Neo-Babylonia. Some of the elders of Ge’ez Israelite accepted to cooperate with the powerful Turkic Mongolians and they became the Lost Sheep of the House of Israel. The Ge’ez speaking Israelite in Neo-Babylonia went through cultural and linguistic changes which turned them into Hebrew Israelite. Those many genuine African Israelites indeed joined the Turkic Mongolian in inventing Judaism as willing partners, so the Hebrews also contains African Israelite as junior partners, plus a dominant Turkic Mongolian Jews and converts. The Turkic Mongolian Persians used Sumerian and other traditions in Neo-Babylonia during 580 -530 BC and mixed them with the stories they got from the invited Ge’ez speaking black Africans from Punt who were the Lost Sheep of the House of Israel, and later became the Hebrew Israelite, to help them in cooking Judaism and invent the Jews. Surely, the Turkic Mongolians insisted to hide the real origin of Ge’ez speaking genuine Israelite and Ge’ez itself. Therefore they made up Hebrew to replace Ge’ez, and pale admixture Israelite to replace the genuine African black Israelite. The same cocktail was used again in Christianity and Islam to kill and replace them. Answer: The land of Punt is the home of real Israelite; the Lost Sheep of Israelite are those Israelite from Punt who colluded with the Turkic Mongolians in Neo-Babylonia to create the Jews, Judaism, the colony in Aramaic land, and became Hebrew Israelite. So, Jesus was sent to the Hebrew Israelite because they were the Lost Sheep of Israelite. He wanted those lost sheep of the house of Israel to repent and go back home to their land of Punt. What is the name of god in puntite tongue ? Kemetians came from south, probably from Nabta Playa, as Kerma too. I guess Punt was no a single nation, and the T at the end could indicate a plural. So, there could be a number of related languages. Ge’ez must be one late member. Lord or ruler in Ge’ez is `əgzi which in brief could be `əg may be pronounced by some as EL. Jesus was of Puntite descent from the Horn of Africa. He was sent to bring back the Hebrew those who left the Ge’ez Israelite and colluded with Turkic Mongolian Persians and helped them to invent the Jews and forge the holy scriptures.